It is written in the top of the journal website and also available in the home page of the journal website. How much old this journal? | When it was started? | when first issue of the journal was published? It was started in year 2011. It is published by the ‘Blue Eyes Intelligence Engineering & Sciences Publication (BEIESP)’. BEIESP is a registered International body that publishes scientific original cutting edge in the field of Engineering, Technology, Science, Management, and Humanities in the global network which is beneficial for scholars, students, engineers, researchers, and scientist. BEIESP is publishing research articles for more than 125 countries. It is available in the home page of the journal. Global directory partner of the journal is Blue Eyes Intelligence Engineering & Sciences Publication (BEIESP). Yes, it is an open access journal. Yes, it is peer reviewed journal. It will be resolved within 24 hours. What is paper submission process? What is the plagiarism policy? We did not accept paper that having plagiarized contents. Paper should have cutting edge original contents. Paper should not have more than 20% similarity including reference section and name citations. What is used for plagiarism/ similarity check? Either iThinticate or Turnitin software. Did I eligible to submit my research work to this journal? Yes, you are eligible to submit your research work. What is the scope/research area of the journal? 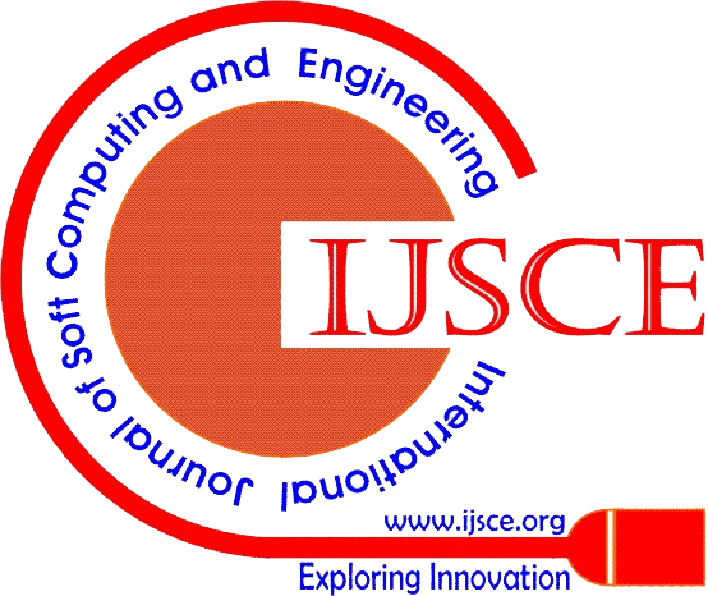 The scope/research area of the journal is available website. Please click to scope tab. What is the procedure to submit research paper? You can send your research paper to the given email address. Email addresses are available on the home page of the website. Is it compulsory to come for reading/presenting the paper in PPT? No, there is no need to come here for reading/presenting your paper. Your paper is sufficient for all purposes. Send your paper for review process. Once your paper is accepted by the board of committee of the journal, we will send you notification of your paper over the email along with further guidelines for the publication of your paper. How much time will you take for review process? It depends on reviewer response. It may be reviewed by within 02 days or take 15 days. We can’t say. It is advised you, do not submit the same article to multiple journals at the same time. You should wait for review report. How many reviewers will evaluate/examine submitted paper? Your paper will be reviewed by 03 reviewers. 02 reviewers will be from India and 01 reviewer from overseas. The average reviewed comments will be subject of rejection or acceptance. You can submit paper any number of times, but the paper should be different for different volume/issue. How many articles can be submitted for same volume/issue? Author can submit maximum 02 papers for same volume/issue. Maximum 03 authors are to be allowed a paper. Can you write papers for me for the publication? I will pay your fee. Sorry, No, It’s not possible. Is it compulsory to submit papers in the given journal template? No, it is not compulsory. You can submit it in any format, but paper should be in either pdf file or ms world file. Terms and conditions are available in the ‘Authors Guidelines’ page. Please journal website. All accepted papers will be property of “Blue Eyes Intelligence Engineering & Sciences Publication (BEIESP)”. Paper cannot be withdrawn at any condition once it is accepted. Is any instructions/ guidelines for authors? Yes, It is available in the ‘Authors Guidelines’ page. Please visit journal website. Please visit journal website. It is available in the ‘Authors Guidelines’ page. Journal does not take any kind of publication fee/acceptance fee/ review fee/handling fee/processing fee. It is free journal. UGC is not an International factor. Hence, we do not count it. Yes, it is fully refereed, peer reviewed, double blind journal. We are publishing research work for more than 115 countries. Is this journal refereed by my university/institute? It is your internal matter of your institute/university. How can I say that your institute/university referring this journal while we are publishing research work for more than 125 countries. Is it Scopus index journal? Will my paper will available in the Scopus database ? Yes, all processed papers will be forwarded for inclusion in the Scopus database. What time will require to index my paper in the Scopus database? Although, within 2-4 months, papers will be indexed in the Scopus database. Scopus may take more time as per their busy schedule. I am unable to see IJRTE/IJEAT/IJITEE journals in the Scopus search list. How will I see it? Yes, Journal is accepted for indexing in the month of August 2018 and MOU is signed with Elsevier product(s) in the month of December 2018. For it, go to home page, click to scopus logo and then you can see date of acceptance. But if you have institution credentials then you can see all above journals in the scopus database. We have downloaded these files from Scopus Database. You can see that upto January, all the articles of the journal has been enlisted in the scopus database. It is indexed by more than 31 international bodies. Some of them are SCOPUS, BEIESP, Open J Gate, Google Scholar, DOAJ, get CITED, dig, Higher Education Forum, Cite Factor, Index Copernicus, Search Sight, Scirus, UK Index, New Jour, Research Gate, and many more. Will I receive an abstract book of the published volume/issue of the journal? Yes, you will receive abstract book. You can also download it from the respective volume/issue. It is available open access, free of cost. What will I receive in total if my paper is published in this journal? You will receive an acceptance letter, review report, published paper, publication certificate and abstract book. Will you provide us hard copy of the journal? Will you provide hard copy of the publication certificate? No, as per the notification of Digital India & Save Tree, we will provide you each and every document in your email in an authentic way. You can take print at your end. Nobody can refuse your certificate in the rest of the word. All certificates will be written on letterhead of the journal which will be signed and sealed by director of BEIESP. My paper is published and we have three authors. Can we receive an individual publication certificate by separate name? No, it is not possible and it is also illegal. If someone is providing you, then they are also doing illegal work. I am asking a question from you. Can you send the same paper with the same title and same research work by separate name of the authors for the publication? No, you cannot do it because it’s illegal. If you cannot make separation from the authors of your paper, then how can I separate your work for the same title and same research work? I think, now you can understand my reply. Will I receive publication certificate free of cost? Yes, you will receive publication certificate free of cost within 72 hours after the date of publication. Is any paper publication fee/ handling fee? No, it’s free, Journal does not take any kind of publication fee/acceptance fee/ review fee/handling fee/processing fee. It is free journal. Can I give donation through PayPal/2Checkout/PayUmoney? Yes, you can give donation through PayPal/2Checkout/PayUmoney. Please visit website. Can I give donation through Western Union Transfer? No, Sorry, due to security, we never accept any transaction through Western Union Transfer. Can I send donation by check/ demand draft? No, Sorry, due to security, we never accept any check/demand draft. Can I give a swift transaction or wired transaction as a donation? Yes, you can give through swift/wired transaction. For it, required banking details are given in the donation page. What is the procedure to give donation through NEFT/wire transaction/ swift transaction? For NEFT/wired/ swift Transaction, go to your nationalized bank along with our banking details (available in the donation page: https://www.blueeyesintelligence.org/make-donation ), a check, your identity proof, address proof, acceptance letter of your paper. My article has been published but there is some correction. What did I do? Please write an email along with your paper id, published paper details like volume no, issue no, page no, and corrections details. We will resolve it within 24 hours. Corrections are possible if author inform us within a week from date of publication. After that, there may require content updating fees. I have give donation through credit card/ debit card/ net banking but not receive proof of transaction in my email? You did not write proper bank details. For example card number, password, etc. Please remember, you have to fulfill all the required details of the bank/ card of it’s related person in case of if someone is making transaction on behalf you. Your bank server is shutdown at this time or having some problem to connectivity between your banks server. You did not have sufficient balance/credits in your bank account. Internet speed is not very poor. How will I receive proof of donation if I make it through credit card/ debit card/ net banking? Proofs of transaction sent immediately from the related server to the given email address once it processed successfully. You have to send received proof of transaction along with other supported documents. Wrongly deposit money or extra deposit money will be returned back within 72 hours if the candidate informs us within 24 hours. I made donation twice by my credit/debit card. Will you refund extra paid amount to me? Yes, one transaction will refund you within 24 hours. Please write an email along with your paper id, published paper details like volume no, issue no, page no, and corrections details. We will resolve it within 24 hours. Corrections are possible if author inform us within a week from date of publication. After that, there may require content updating fees. We will inform you over the email. Is the scam, fake, predatory, standalone? No, this journal is not a fake journal. It is 100% legal, registered and recognized journal. If you have proof of it then please write me. We will give verification and validation.